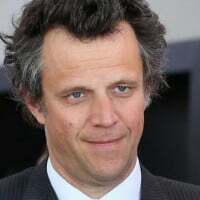 Will the next CEO of French marcoms business Publicis Groupe be based in China? He just might if it falls to Jean Yves-Naouri (pictured) to succeed Maurice Levy. Naouri, COO of PG and one of the favourites to succeed Levy has been charged with boosting PG’s presence in China and he’s tackling the task with some enthusiasm. PG has just bought 200-strong e-commerce business Longtuo (set to be renamed Razorfish Longtuo after one of PG’s big digital agencies), a move that Naouri reckons will double its e-commerce business in China by giving it access to dozens of local clients, who account for 70 per cent of e-commerce in the country. Forrester Research reckons that e-commerce (essentially online shopping) will be $94.6 billion business in 2012 with China set to overtake the US as the biggest market by 2015. In the past four months PG has acquired four agencies based in China: UBS (February 2012), King Harvests (March 2012), Luminous (March 2012) and now Longtuo. Since 2010 PG has acquired W&K (April 2010) G4 (July 2010) Eastwei Relations (November 2010), Interactive Communications (February 2011), Dreams (May 2011), Genedigi (June 2011), Wangfan (November 2011), and Gomye (November 2011).